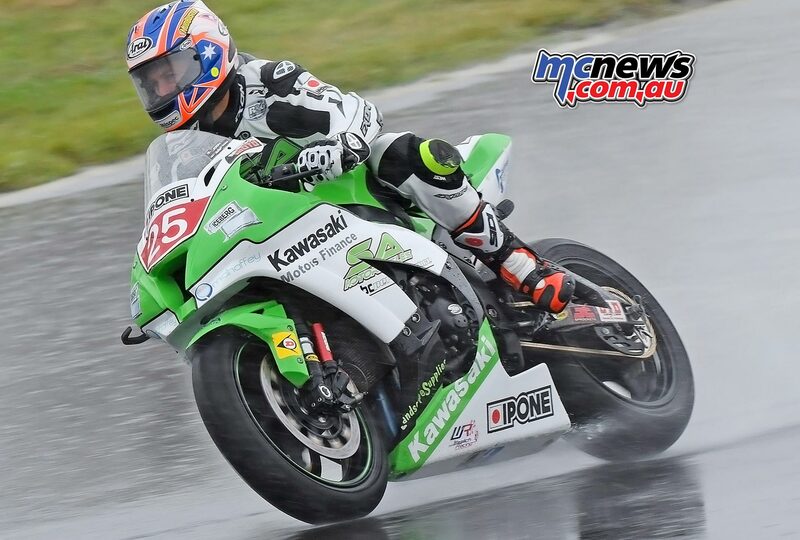 Eastern Creek resembled something more akin to Eastern River as Superbike competitors hit the track during qualifying on Friday at the Sydney venue. 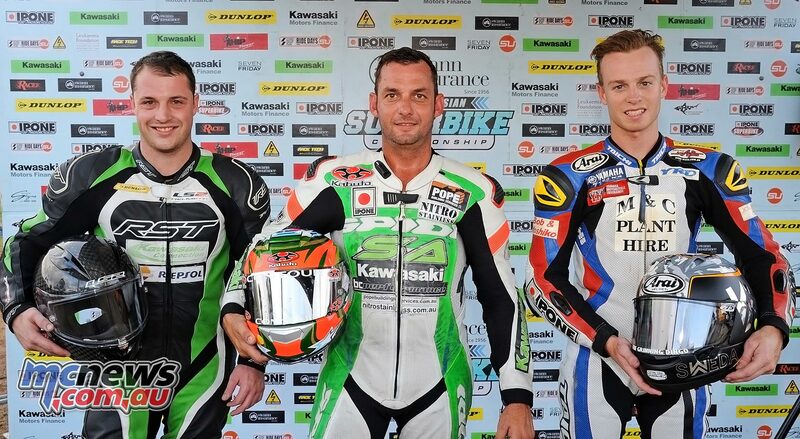 Josh Brookes, in a one-off guest ride for the BCperformance Team, as a stand-in rider for the injured Ben Burke, took pole position in the wet conditions by a clear 1.7-seconds over Michael Blair. 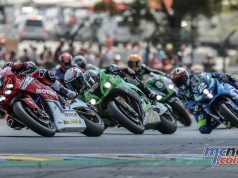 The final day of competition runs on Saturday from with the first race scheduled for 0945 but the Superbike competitors do not race until 1415, when they will hit the track for the first of three seven-lap bouts, the second of which is scheduled for 1620 and the final stanza set down for 1845. In a stark contrast to Friday’s wet weather Saturday is forecast to be a sunny and very warm 32-degrees. Continue below for an all-classes wrap from Friday’s AFX Superbike action at Sydney Motorsports Park. Brookes, now back on home turf after a trying year in World Superbike, only a year after basking in the glory from his British Superbike Championship win in 2015, converted his qualifying form into a clear race win. Brookes crossed the line on a still very wet, but slightly drying track, 5.7-seconds clear of Bugden after the seven-lap duration. 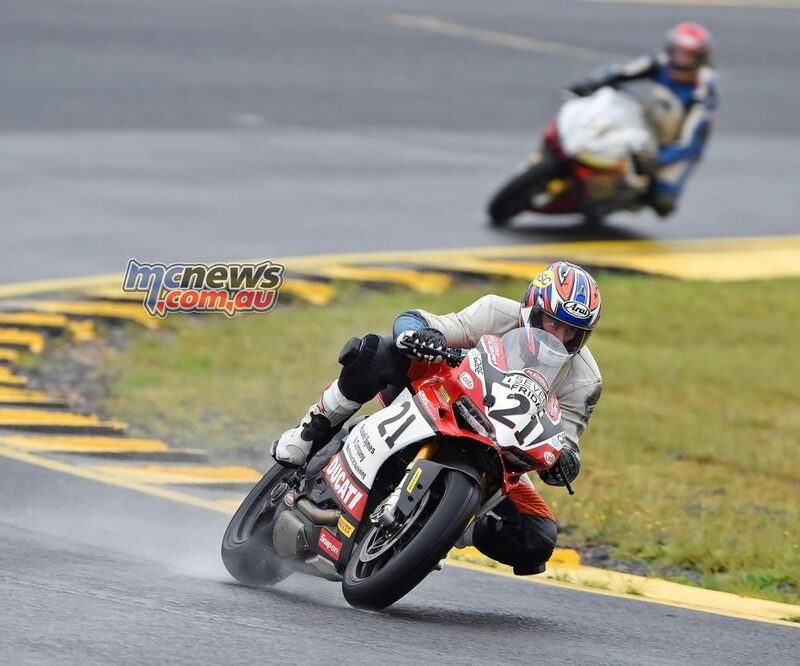 Beau Beaton had started strongly but tyre issues eventually forced the Ducati man out of the race. 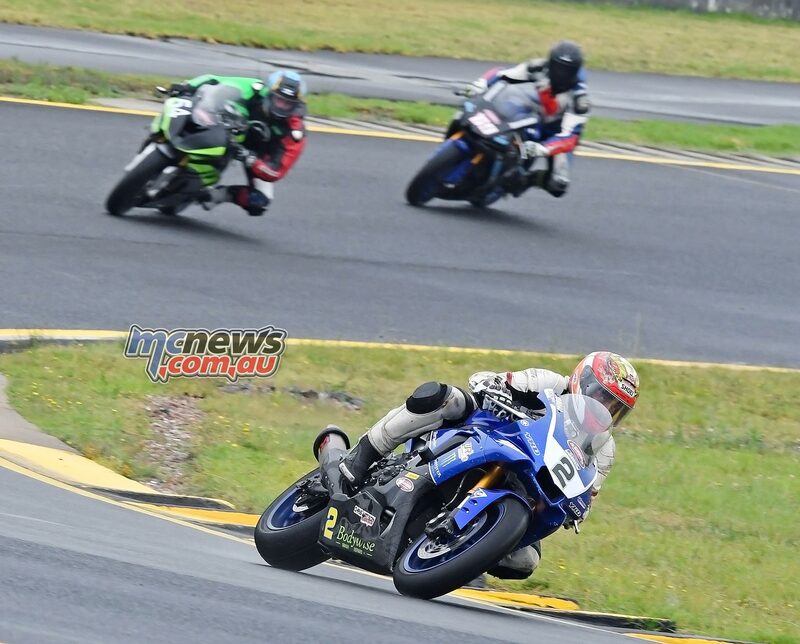 Michael Blair started poorly but quickly made his way forward to third position in what ended up being a lonely ride for the Ipone Yamaha rider in the closing laps after passing Matt Walters he pulled away from the Cessnock Kawasaki man and by the chequered flag had more than 12-seconds on Walters. 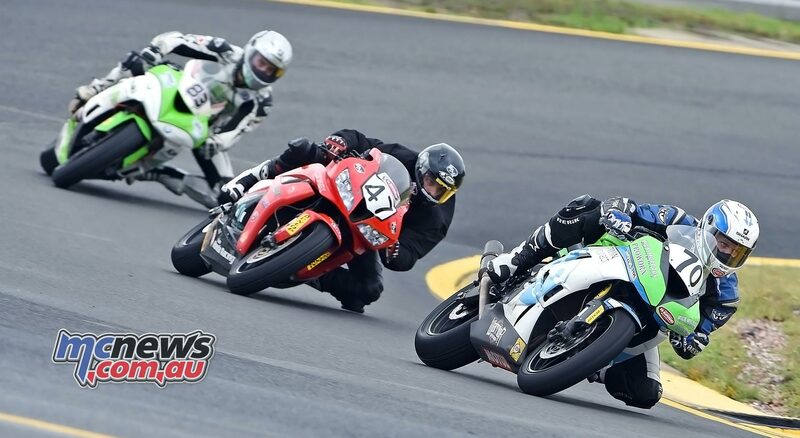 Michael Blair got a much better start in the second bout and used that to good effect to build an almost two-second lead over Robbie Bugden by the end of the opening lap. Brookes was a further 1.5-seconds behind the Yamaha man and had his work cut out for him in trying to chase down that 3.5-seconds to the race leader in only seven laps on what was a mainly dry, but still patchy in places, Eastern Creek circuit. That top trio all put in 1m35s laps on their second time around the classic 3.93km Eastern Creek layout, thus the gaps remained equidistant with five laps still to run. It was lap three when Brookes really started to hit his stride on the BCperformance ZX-10R. After starting the race on full slicks it, had taken Brookes a couple of laps to feel his way around the circuit, but he showed he was starting to get comfortable when he pulled a full second out of Blair on lap three. 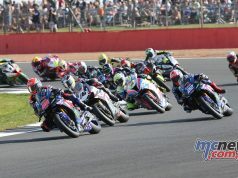 At the front of the field however, Blair was not thinking about Brookes, as he had Robbie Bugden now climbing all over him, piling the pressure on with four laps still to run. As Bugden hit the lead Brookes pulled yet another second out of the leading duo. As the race passed the halfway marker Brookes had narrowed the gap down to just over a second and had dipped into the 1m33s, game on! Brookes backed that 1m33.94 up with a 1m34.025 to squeeze past Michael Blair for second place, and then locked his sights on teammate Robbie Bugden. 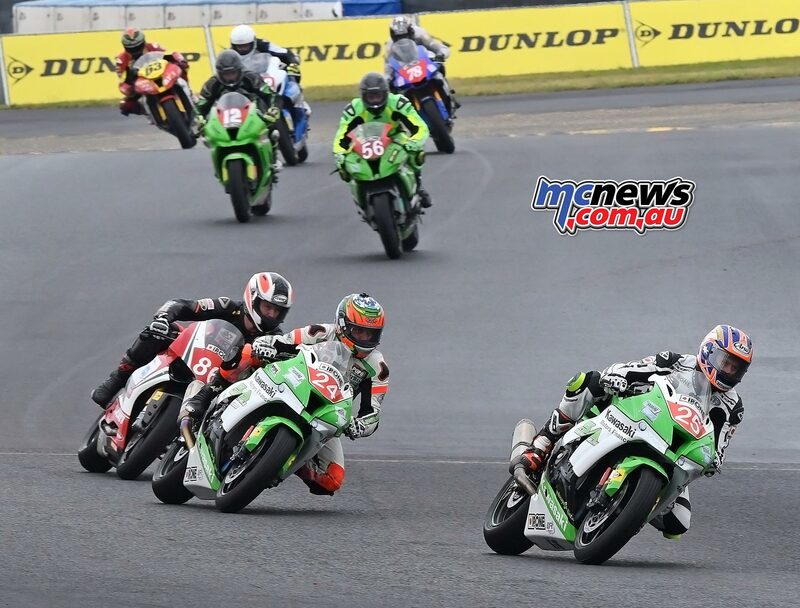 At the last lap board Bugden still held sway by just over three-tenths of a second, the Queenslander had responded to Brookes’ challenge and upped the pace himself. The two tussled on the final lap and it was Brookes that came off the worse for wear, running off the circuit. Adding insult to injury for the BCperformance squad that scrap also allowed Blair to come from a long way back to mug Bugden on the line and take the race victory! 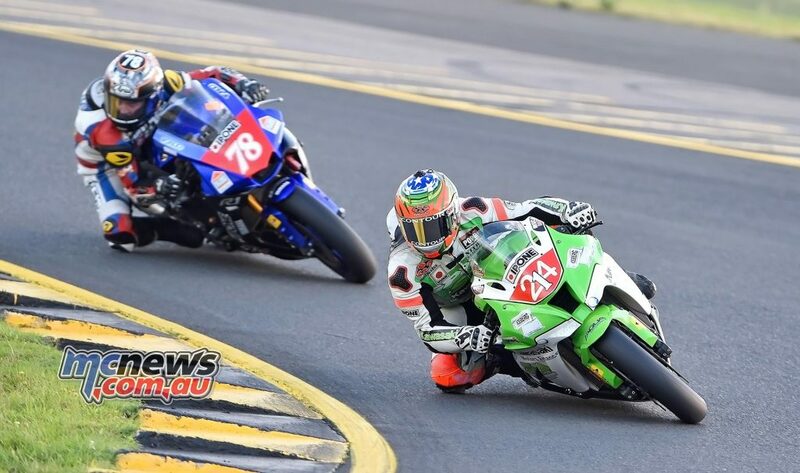 With that second place though it was still Bugden crowned AFX Superbike Champion with an overall tally of 400 points for the season besting Blair’s tally of 339 and Walters’ 318. 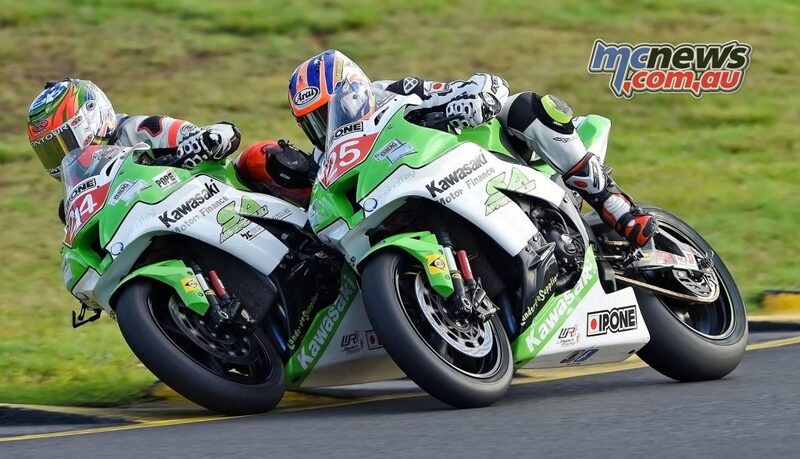 Proworx Racing’s Sam Muldoon won a tight tussle with fellow Kawasaki rider Kyle Buckley for victory in the opening Supersport bout, only 0.123 of a second separating the pair at the line with the nod for the win going to Muldoon. 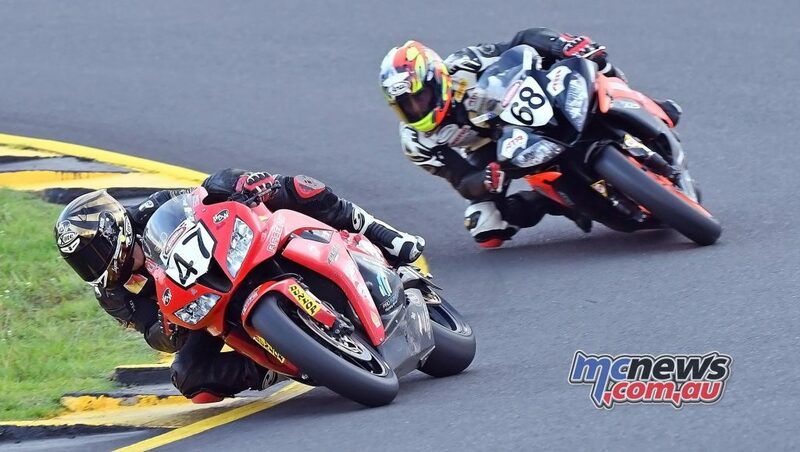 Giuseppe Scarcella rounded out the podium on a Honda CBR600RR ahead of Mark Chiodo on the Triumph 675. 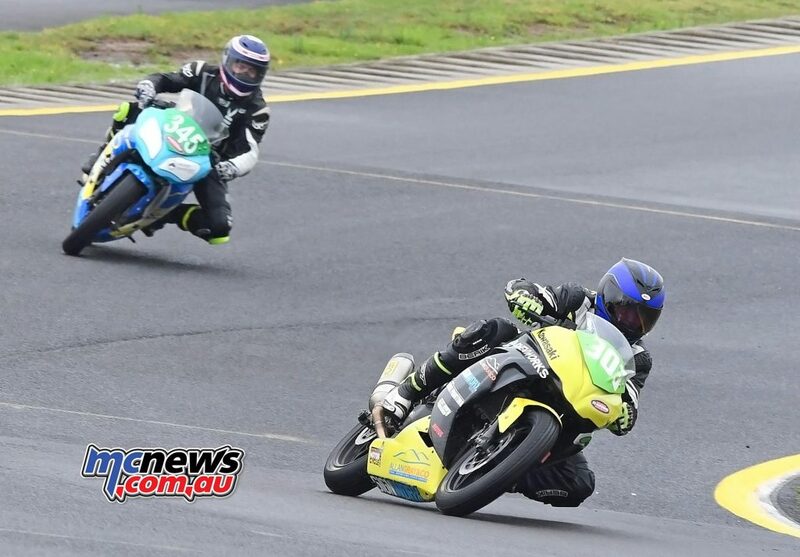 It was Sam Muldoon and Kyle Buckley that broke away again the second bout on what was a much drier track than Supersport competitors experienced earlier in the afternoon. This time around Muldoon came home particularly strongly and took victory over Buckley by a much clearer 2.5-seconds while Mark Chiodo pipped Scarcella for the final step on the rostrum by one-thousandth of a second! 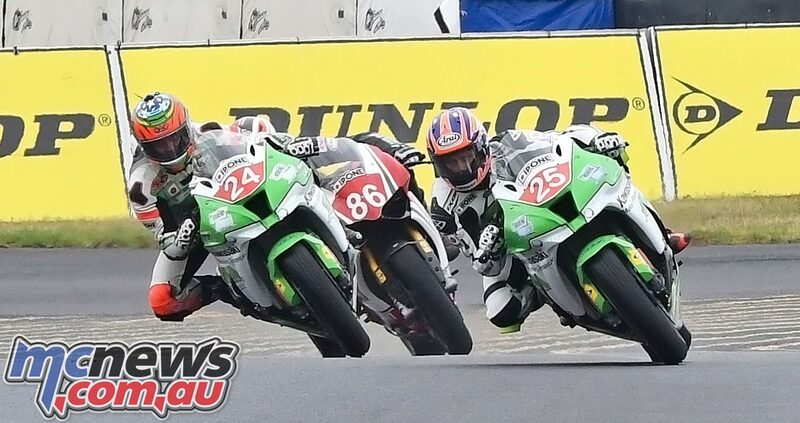 Buckley’s second place in the final scrap though was good enough to give the BCperformance youngster, who will step up to Superbike on a ZX-10R within the same team in 2017, the AFX Supersport Championship gong ahead of Mitch Levy and Jordan Carlsson. 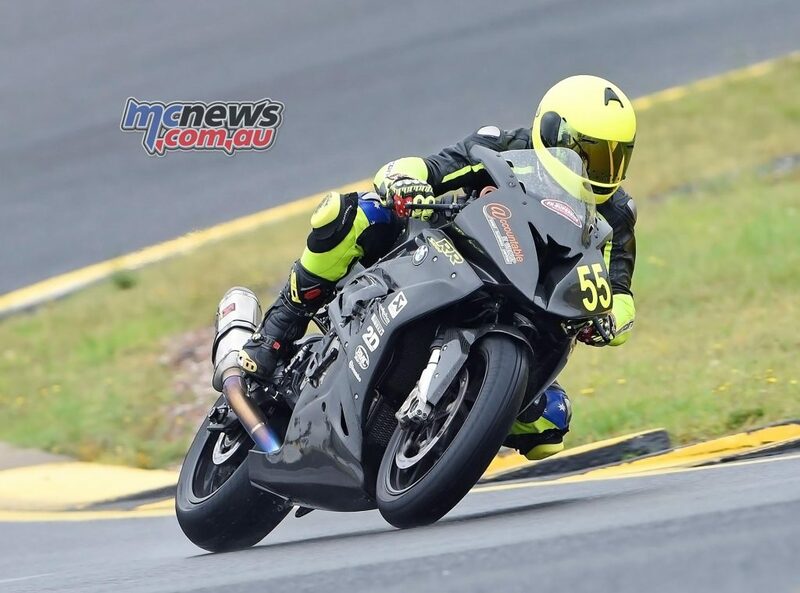 In the newly minted Am-Sport sub-category Matthew Shipp took the overall day honours ahead of Robbie Tesoriero and Rodney Whitey. The move towards this category joining the regular Supersport grid a good one with twice the amount of Am-Sport eligible bikes fronting the grid than contemporary Supersport machines, suggesting that O’Neill is on to a winner with this format. 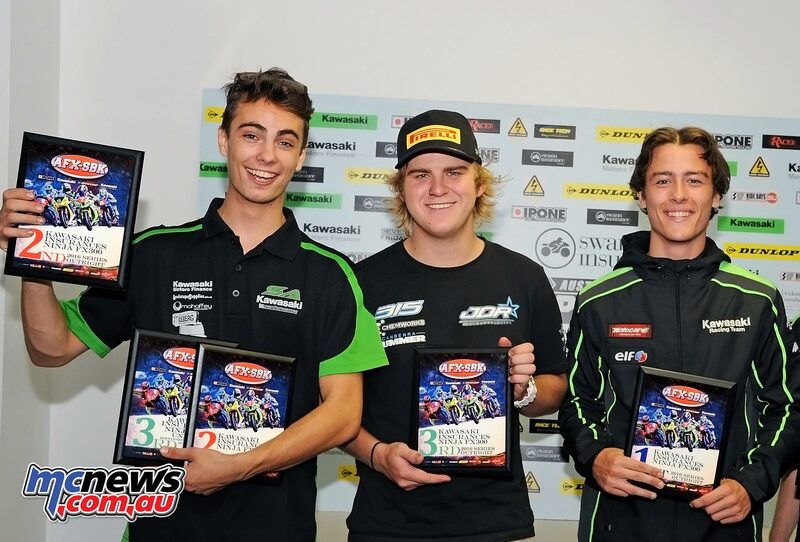 Jack Dawes took first blood in the Ninja 300 category ahead of Sam Condon and Lewis Wright. Tom Toparis was victorious in race two over Yannis Shaw, Sam Condon and Broc Pearson. 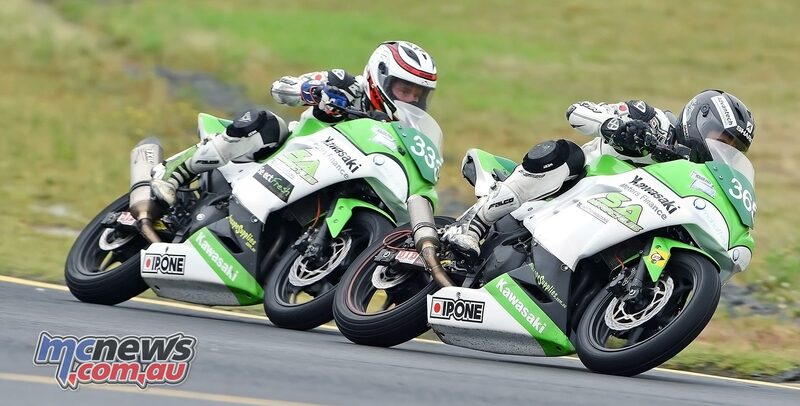 Sam Condon took out the overall championship win with 367 points to Broadbent’s 290 while Jack Dawes took third on 283 points ahead of Yanni Shaw and Tom Toparis. 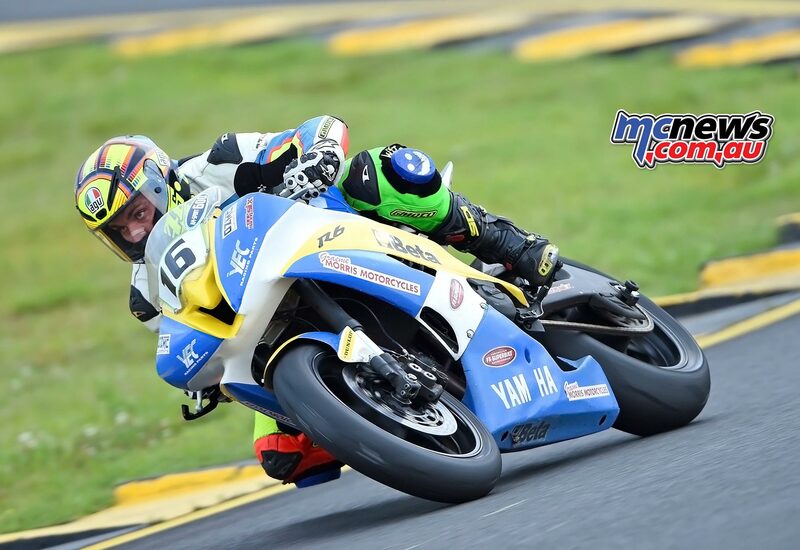 Heath Griffin took two-from-two race victories today on the Ducati Panigale while Paul Roe had to settle for second place in both contests aboard the McMillan Criminal Law Aprilia RSV4. James Bulloch and Peter Brighton took a third place apiece from the two contests. 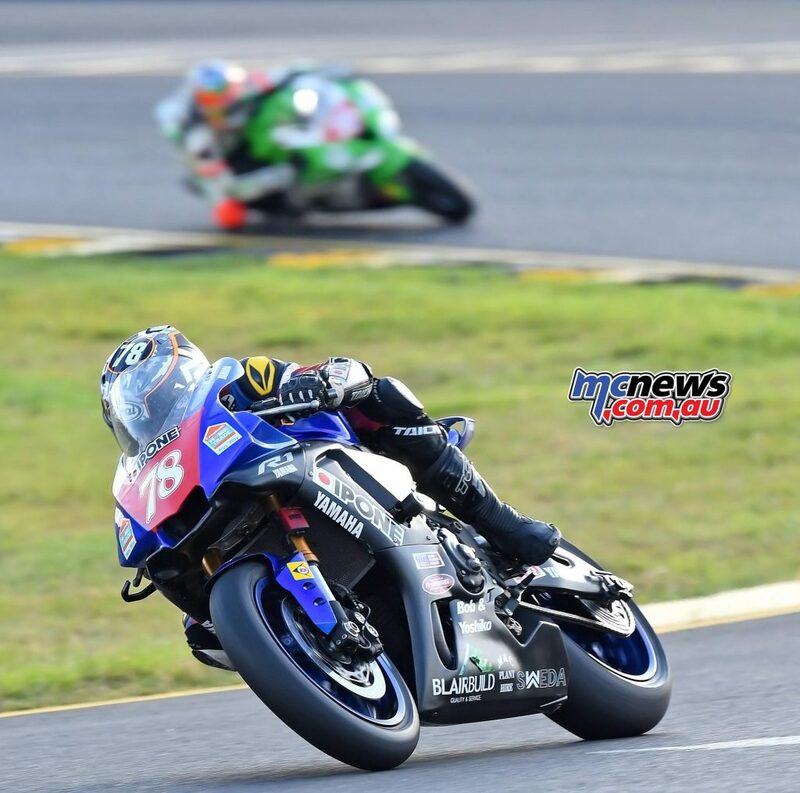 Sam Lambert took the opening victory in the Formula Oz category onboard a BMW S 1000 RR but the Northern Territorian could only manage fifth in the second stanza while Brett Kitchin took race two honours ahead of Evan Byles.